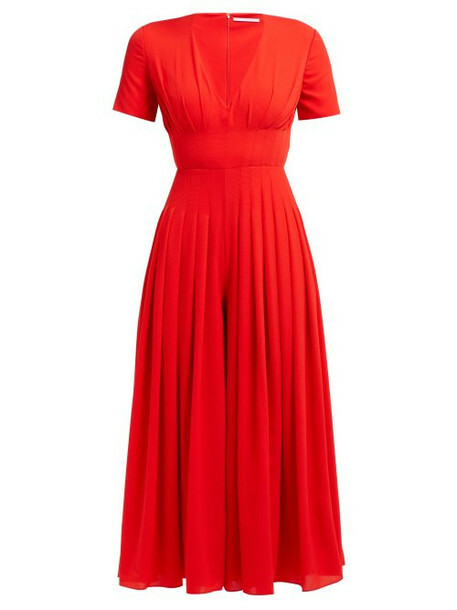 Emilia Wickstead - Emilia Wickstead's red crepe Rona jumpsuit is defined by its sharp silhouette softened by feminine pleating. It has a deep décolletage followed by swishing cropped legs and is lined in the same material for an exemplary display of tailoring. Add statement earrings and stiletto sandals to complete a striking evening edit.